Sounds good. They're fairly rudimentary at the moment but its a fairly simple device mechanically. I'm thinking ahead to mounting my Diamond hotend on my Delta printer, and hoping to save myself some design time... has anyone designed a Piezo20 mount for a Diamond hotend? Edited 1 time(s). Last edit at 07/04/2017 06:25PM by Suggy. Yes use under bed piezos. DjDemonD Do your printed parts come with the brass insert's? Edited 1 time(s). Last edit at 07/05/2017 01:42AM by Suggy. Yes I'll put the brass inserts in. And I have uploaded the V1.1 which uses the brass inserts not m3 nuts, but is otherwise the same so don't rush to upgrade. So after 2 spool of filament, my first layer is always 0,1mm which is damn good. 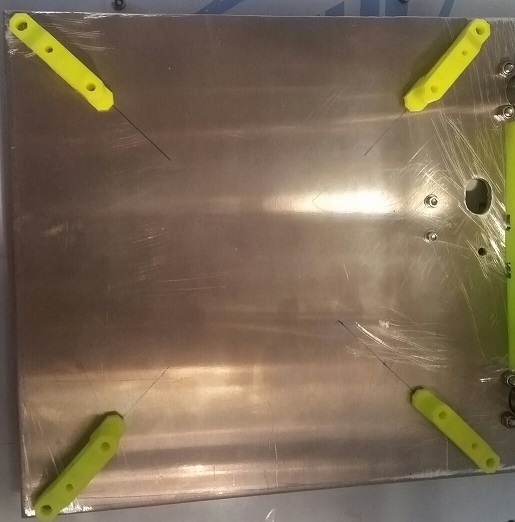 Pm me a photo of your setup, its possible to use the four corner screws or even incorporate the top part into the effector this offers great stability. I can't see any problem with sensors being not perfectly aligned/arranged around your bed. I'll let Moriquendi or leadinglights chime in as they pioneered the underbed system. Important factors are keep heat away from the Piezos, if you can't totally insulate them that's okay they will work at up to 60 degrees (just), make sure you set up the pcb with the bed heated so that they perform predictably when printing. If you have issues probe with a cold bed and factor the height change after probing by paper test. Make sure all the Piezos are the same polarity, the quality murata ones usually are. If they aren't they can cancel each other out. For unusual hot end setups like diamond or when you need to maximise z height underbed systems work fine. You get best sensitivity if your bed pressed down and bends the piezo but compression works also. I just like the simplicity of nozzle based systems personally. Edited 2 time(s). Last edit at 07/11/2017 06:42PM by DjDemonD. Just for the benefit of all, the solution here was to tighten the four screws holding the module together and then re-tune the pcb. Ok thanks for the info. Waiting for the piezo's to turn up. Will get the holes drill tomorrow. As for it bending, if I glue just 1/2 of the top of the piezo to the build platform and glue the bottom on the opposite 1/2 to the leg/pressure pad this should get a good bend? Just a thought but as this been tried with a vibration censor ? As for the question on gluing half the piezo, yes that will work and should have good sensitivity, but it is a trade off between sensitivity and stability. So in that configuration if the bed is fairly stable afterwards and you get good triggering then it works. If you get good triggering but the bed is a little wobbly (like with fsr's) then a better mount might be worth researching. 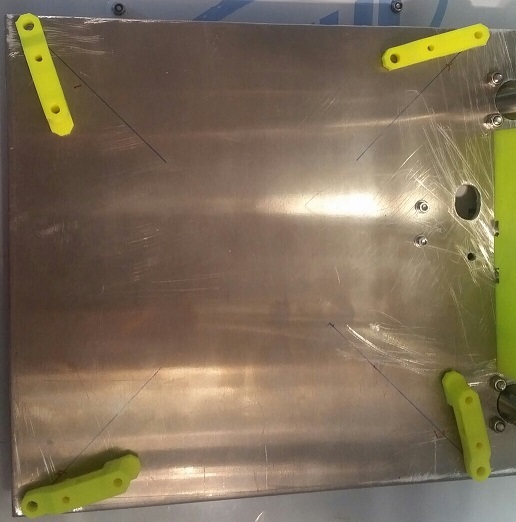 Moriquendi used long printed parts as bed mounts with a compressible zone in the middle and glued the piezo across that area. What sort of vibration sensor have you got in mind? Don't know much about this sort of stuff but I guess if it can trigger as soon as it touches the bed you could do away with the springs. Don't know if it would trigger with the vibration??????? This is a question for Mike/Leadinglights he has tried a wide range of other sensing modalities including expensive accelerometers which he concluded were not as good as cheap piezo discs, requiring much more force to trigger. When you say springs I think you conjure up the wrong image, the "spring" travel we use with piezo sensors is around 0.15mm of deflection, which is less than (possibly less than half of) a typical first layer height used in FDM printing, and is constant and therefore can be made allowance for - your z-offset. There's no way around it, the very best z probe is direct electrical contact, and if I were printing onto aluminium (or other bare metal bed) I would use it, there's nothing simpler or more accurate. See this post [open-source-energy.org] for contact-contact which was exactly this, accurate to 1 micron with a 3 micron std deviation. It would be more accurate but Mike calculates that the controllers even Duet and the like need around 1-2ms to register a trigger. So if we could convince the makers of various print surfaces to make them electrically conductive then hey presto, we'd all have totally accurate bed probing, as long as we clean our nozzles, which we should be doing especially with piezo probes. We managed in that test, 3 microns accuracy and around 10 microns standard deviation, so we're not far from the contact-contact result in terms of being able to position a nozzle to lay down a 200-300 micron first layer, and there are people out there who say if a z-probe can manage 50 microns accuracy its good enough for 3D printing. I'd disagree. Plus the microswitch z-probe is accurate but stow it and deploy it between each test and the result would be a lot less accurate and the std deviation would be quite large. With piezo as well as some other probing technologies the probe is fixed, most of these others require the probe to be offset though. Edited 4 time(s). Last edit at 07/12/2017 06:51PM by DjDemonD. Not to hijack the current discussion, but how well can you print directly onto aluminum? Not well, and don't worry hijacking is allowed. I've tried with aluminium and hairspray, it sort of works but its nowhere near the current state of the art build surfaces. Perhaps with the right sanding/surface prep you might get a better result. I didn't try the electric contact probe then, I just had an aluminium bed (mk3) and didn't want to stick a piece of glass on top, the hairspray would probably interfere with the electrical contact anyway. Edited 2 time(s). Last edit at 07/12/2017 07:00PM by DjDemonD. Okay. So it sounds like while the electrical connection gives the best accuracy and repeatable results, but at the cost of being able to print. Doesn't sound like too good of an option. Think I will stick to the piezo and my BuildTac and Zebra Plate for now. Edited 1 time(s). Last edit at 07/12/2017 07:00PM by ElmoC. To be honest it might make sense to work on a conductive PEI or polycarbonate if the results Whitewolf is getting over on duet forum are anything to go by. It doesn't need to be very conductive, just enough to register a contact. Edited 1 time(s). Last edit at 07/12/2017 07:03PM by DjDemonD. Edited 1 time(s). Last edit at 07/13/2017 01:49AM by Suggy. Not sure what you mean by bed retraction, is it z-hop/z-lift when retracting filament to prevent blobs? It will not cause a false trigger as long as your z acceleration is 200(mm/min) or so, not higher, and because you won't be doing z-hops when probing. It doesn't matter if the piezo system triggers like a crazy thing when printing (although it can sometimes give an indication of a print going wrong) as all firmwares either ignore z-probe triggers during printing, or you can specify this behaviour. Just to say I have left messages via github with Smoothie, Repetier and Marlin to ask if they can emulate the M558 R parameter from RRF in their firmwares which allows a pause after coming to rest above a probing point before diving to probe. Coupled with z accel at 200mm/min2 max that seems to be all the firmware changes needed which improves piezo probing and simplifies the setup considerably. Whether they will consider it is another matter. So repetier said they have this already in their Dev branch, its called Z_probe_delay. If anyone using repetier dev version can confirm for me that this does indeed pause after the head positions over a probing point, by setting something like 2 seconds delay (as its not very obvious with the recommended 0.2sec - despite it being very useful), then switch to 0.2sec and hopefully enjoy even more trouble free accurate probing. Marlin have proposed a code change, so if anyone wants to fork marlin, change this code as per [github.com] and then possibly make a pull request, they may add it to the latest version. Volunteers wanted to test it with piezo probe? If successful we will see about merging it with marlin 1.1 main branch. Edited 1 time(s). Last edit at 07/13/2017 02:23PM by DjDemonD. I'm printing the first layer at 0,1mm thickness on a 4mm borosilicate glass with glue stick (until I receive my new printbite) at 25mms whatever the speed. Works like a charm. I think I tried everything, a constant flow on the same thickness is the key, it seems obvious but if you start print a corner with a 0.1 thickness on the bed and finish the travel move with a 0.2 thickness on the bed you'll be f***ed up by thermic moves when plastic will cool down and then lost a lot of grip from your surface. To minimize that, good hardware is mandatory. 1 - the plate : plane stuff is mandatory of course, but the less thermodynamical is the surface the better. Borosilicate glass is definitely the best choice, recommend 4mm (6max max.max). You'll have to add 10 degrees to your hotbed to compensate the loss of heat. Steel and aluminum moves a lot, and it goes far worse the bigger is the plate. You can't see it with naked eyes but even 0.2 mm of deviation is a lot for your printer. It heavily affect the grip due to plastic not evenly printed. 2- the Calibration : the more points the better, creating a heatmap is the final touch. Duet calibration is, I must admit, very advanced compare to others, but esher3d website let you correct 90% of the defect. Used it with repetier before switching to Duet. But if your heatmap is bad even if the plate is not hot you'll definitely need to heavily reconsider point 1. 3- additional sticky stuff : always good, I'm used to printbite, but it's not cheap. For me as second option, kapton tape or eventually glue stick. If you want you can use 800/1500 sand paper on kapton to increase grip, but has it is the surface finish is perfect. 4- the speed : I personally always print at 25mms on the first 2 layer whatever the wanted speed for the print is. With that logic I don't use brim, print at 0,1 thickness for the first layer on an hotbed, pla, abs, not even a problem once. Thanks for making it open source! I like the analogue design. I've been busy to make a microcontroller version that does some temporal filtering to reduce bouncing/retriggering. I'm using a PIC16F1827 with its comparators and DAC features. This can potentially also be used to connect it to the controller using I2C and configure the threshold using g-code. I've experimented with mounting the piezo disk between the x-carriage and the hotend holder. It doesn't work too well unfortunately. It takes some pressure on the bed to trigger it, and it also triggers when the x axis homes. When doing a G28 it fails to move the hotend to the center of the bed because it triggers the z end stop as well. I could try two disks in series for a more balanced contact. It'll probably be worth it to redesign my E3D v6 hot ends (dual) holder to incorporate the piezo disk. Because my bed isn't rigid enough I don't think it'll work very well. I might be able to put them between the aluminium and the LM8UU bearing holders but it may cause it to trigger when homing the Y axis. I'm coming to the same conclusion that mounting it between the hot end holder and the hot end may be the best option. Any recommendations how to drill a clean hole? I own a drill press but I might crack the quarts when drilling.I have a 3mm bowden so that's going to be a big hole, or alternatively, I could place them between the hot ends, or rotate the disk on a 45 degree angle to reduce x axis space.